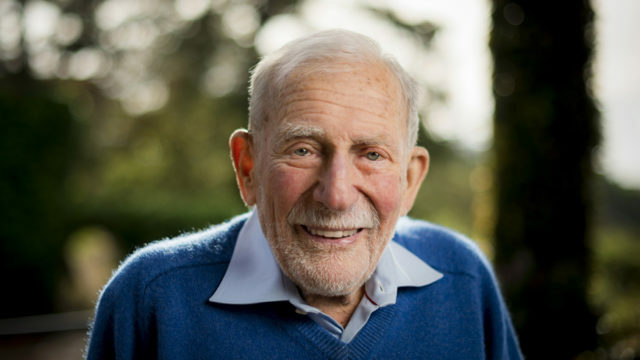 The scientific community is mourning the passing of famed Scripps oceanographer Walter Munk, who died at his La Jolla home Friday at the age of 101, according to an obituary notice posted by the institution. As a geophysicist at Scripps Institution of Oceanography at the University of California San Diego, Munk made groundbreaking observations of waves, ocean temperature, tidal energy in the deep ocean, ocean acoustics and the rotation of the earth, according to the notice. In 2018, Munk received the French Legion of Honor with the rank of Chevalier (Knight) in Paris for his exceptional contributions to oceanography. The Legion of Honor is the highest French decoration recognizing military and civilian merit, according to the notice. As recently as October 2017, Prince Albert visited La Jolla to honor Munk and, like the world-renowned oceanographer, expressed concern about the impact of sea rise due to climate change. Munk said he believed that with a worldwide effort, global warming could be stopped in 10 to 15 years with a maximum increase of 1 degree centigrade. Otherwise, nearby La Jolla Shores and other coastal areas will be inundated. “We can stop the problem—by stopping global warming,” Munk said. Munk’s work also included serving as an advisor to presidents and the Pentagon and conferring with public figures. 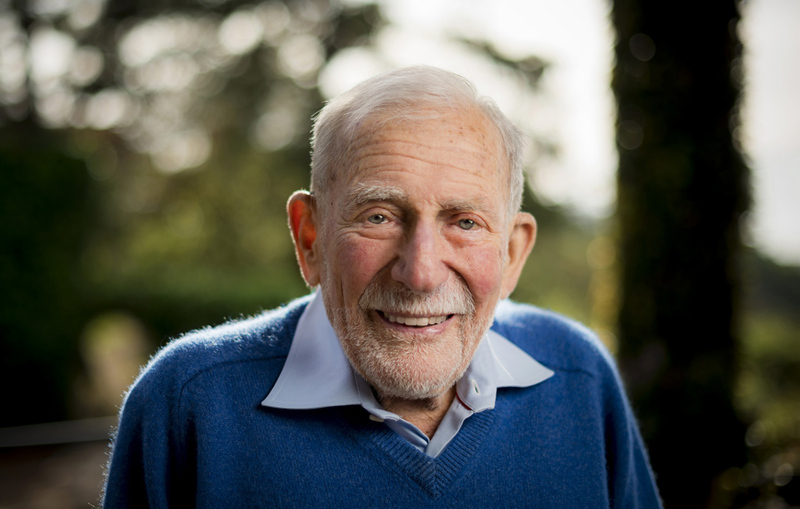 According to the obituary notice, Munk encouraged scientists to take risks, pursue new directions, and embrace the educational value of failure. Munk was born Oct. 19, 1917, in Vienna, Austria, to a cosmopolitan banking family. In 1932, when he was 14, his family sent him to New York, and he was later accepted at the California Institute of Technology. There he received a bachelor’s degree in physics in 1939 and a master’s degree in geophysics in 1940, according to the obituary. During his schooling, Munk applied for a summer job at Scripps in 1939. After receiving his master’s, he returned to Scripps and was admitted as a PhD candidate. Munk became an American citizen in 1939 and joined the U.S. Army, serving in the 146th Field Artillery, 41st Division at Fort Lewis, Wash., but he was recalled in 1941 and returned to Scripps to begin work at the new U.S. Navy Radio and Sound Laboratory in Point Loma. Munk’s work with the military continued–he helped the allies by predicting days when wave conditions would be most suitable to enable landing craft to get close to the beach. In 1953, Munk married Judith Horton, a member of one of San Diego’s most prominent families, according to the notice. With Judith’s own background in architecture, she would become a partner with her husband in creating the distinctive look of many of Scripps’ research buildings, including the complex that houses the Institute of Geophysics and Planetary Physics (IGPP), a University of California-wide research initiative housed at Scripps. Walter and Judith would become entrenched in the social life of Scripps with their La Jolla home serving as a salon at which students, visiting intellectuals, artists, and scientists would gather to discuss ideas, according to the notice. The two were inseparable in the field as well. They trekked across the Soviet Union at the height of the Cuban Missile Crisis in 1962 to reach an oceanographic station at Gelendsik, near the Black Sea. They lived in a Samoan fale when Walter conducted fieldwork on the origin of very long Pacific swells, and the two served as science ambassadors through visits to colleagues in China and the U.S.S.R. in the 1970s. Around this time, Munk also chaired the faculty senate at UC San Diego. Munk was widowed in 2006, but three years later he met Mary Coakley, chair of the Friends of La Jolla Shores organization, and the two were married in 2011. Together, they were immersed in the La Jolla community and became involved in numerous projects, including planning efforts for a 2,400 square-foot mosaic of marine life to be installed at La Jolla Shores in 2019, according to the notice. Throughout his career, Munk acquired a resume of accolades, and he even has two marine species named in his honor: Mobula munkiana or Munk’s devil ray—a “flying” pygmy devil ray known for its ability to leap out of the water at great heights—and Sirsoe munki, a deep-sea worm. Even his late years, Munk remained active in advisory work and research. He is survived by daughters Edie of La Jolla and Kendall of State College, Penn., three grandsons Walter, Lucien, and Maxwell, and his wife Mary.